Inspired by the adventures recorded and reminisced through large adventure festivals in far off places, a group of rag-tag Outdoor Kansas-Loving individuals came together with the sole purpose of celebrating the available adventures right outside our backdoor along the 38 corridor, cutting right through the heart of our fair state. 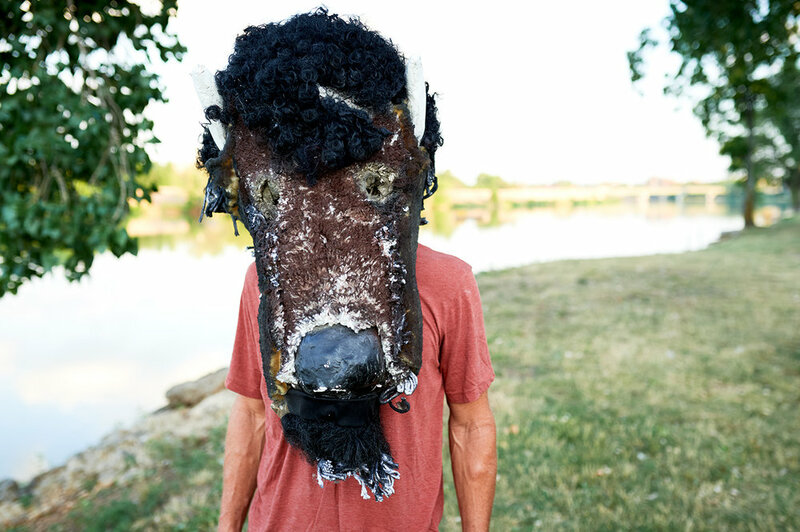 A fierce loyalty to the idea that adventure can be found anywhere, 38 North came about with the sole purpose of celebrating the stories, adventures, and mishaps that happen when exploring the great Kansas landscape. Born from the idea that adventure doesn't have to happen in far-off places with expensive equipment and a maxed out credit card, we are here to salute the creativity, passion, and loyal pride to the adventures happening right here, in Kansas. Join us in celebrating the pioneering spirit that resides here in Kansas, by submitting your own stories, encouraging others to adventure, and enjoying the great Kansan outdoors. Join us. In a counter-intuitive way, one inspiration for 38N is the Banff Mountain Film Festival, which combines adventurous outdoor experiences and excellence in story-telling. IN CONTRAST, 38N emphasizes Adventure where we live, not in exotic locales. 38N seeks to encourage backyard adventures, starting from the end of your driveway or only a couple of hours away. 38N emphasizes self-support, and does not require specialized gear and financing, or outfitters and film crews. Another inspiration for 38N is the Norwegian cultural phenomenon of Friluftsliv. Friluftsliv offers the possibility of recreation, rejuvenation and restoring balance among living things. Meet the crazy movers and shakers behind 38 North. Why are you part of 38N and/or why you think someone should submit to 38N? '"I love being out of doors and active. I also love paying attention to the world I'm in and being rewarded for noticing. Pausing to tell a story of outdoor adventure helps deepen our experience and sets us up to be grateful during the next adventure. Attention, imagination, gratitude." What do you like to do outside in Kansas? "My favorite ways to adventure in Kansas include kayaking the Kaw & hiking the Wetlands with my pup, Millie." "My outdoor passions are trail running/racing, kayaking, backpacking, and mountain/gravel biking on my single speed. I like doing these activities in a variety of weather, which Kansas generously provides!" .What is a favorite adventure in Kansas you have had? "My favorite happens when I sail into the sunset till I run out of water and sunlight. If I have timed it right, I tack to turn into a full moon rising and reflecting off the water." "I'm a born and raised Kansan with a desire to raise the level of 'cool' for Kansas"
What is a favorite adventure in Kansas you have had? 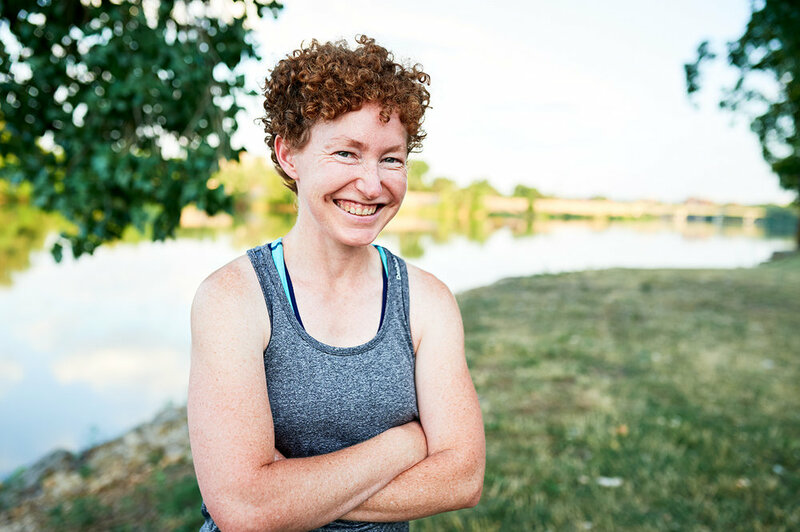 "It’s hard to single out a favorite Kansas outdoor adventure, so I’ll cheat and mention trail runs near Lawrence, paddling Clinton Lake and the Kaw, road races and triathlons, and rock climbing near Fall River. Why are you part of 38N and/or why do you think someone should submit to 38N? "I was excited to take part in a celebration of Kansas outdoor life. I'm very proud to be a Kansan, and I love hearing about the adventures that can be had here." What do you like to do outdoors in Kansas? "I crave open air, and am interested in seeing and experiencing anything that looks remotely like wilderness, or unsettled, untamed or reclaimed outdoor spaces. "